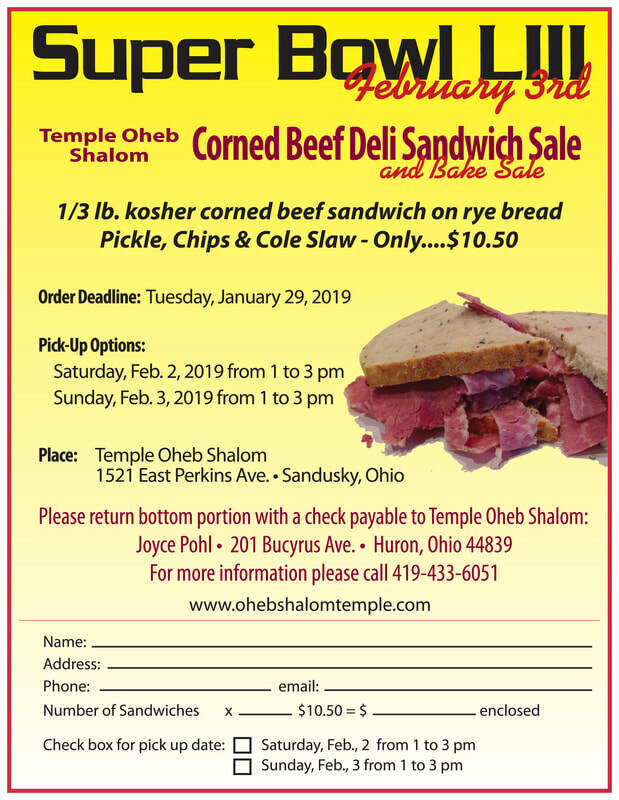 Time to order for the 2019 Corned Beef Deli Sandwich Fundraiser! ​Please scroll to view the flyer for ordering information and to get an idea what this is about. ​There is a printable document that you can download. It is just below this message. Our corn beef fundraiser is very successful. Our Corned Beef and Rye Bread are true deli quality. The funds raised are used to provide Student Rabbi's to lead our Shabbat Worship Services and Jewish Education for our Children and Youth. We thank the community for your ongoing support.